Full disclosure: I’m not a skier. This makes visiting areas popular among enthusiasts of this sport kind of awkward since I’m just an outside observer. 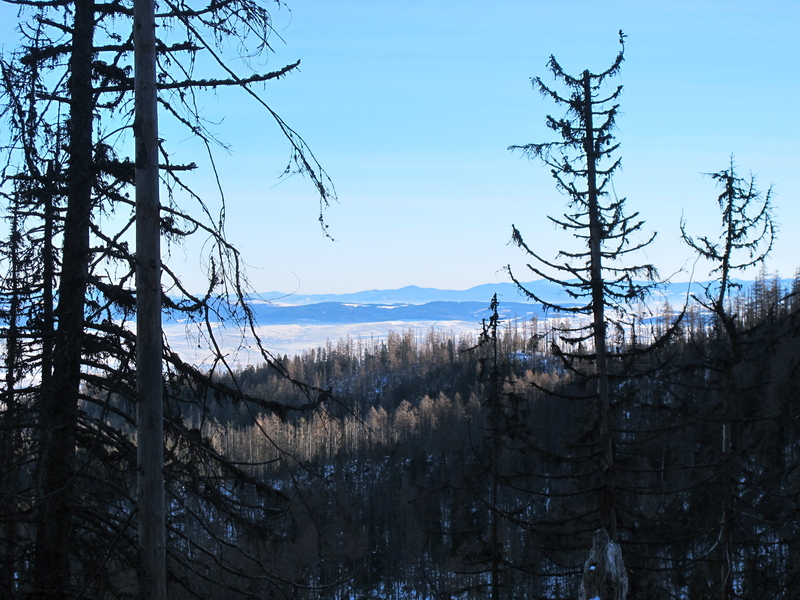 What is more, all the skiing-relevant aspects of a place like the specifics of the slopes, depth of snow coverage, quality of lifts, or – crucially – the price tag – are entirely oblivious to me. I’m fully content with simpler pleasures: hiking and food. 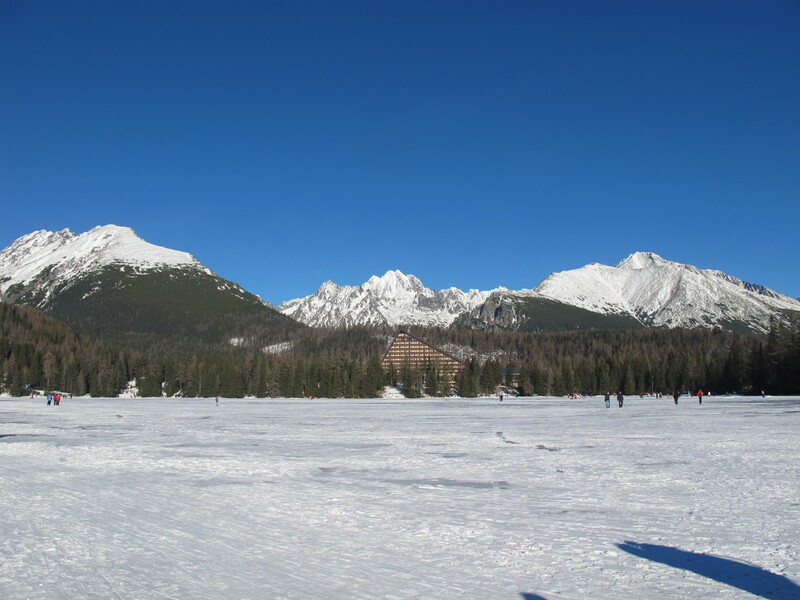 Starý Smokovec in Slovakia’s High Tatra (Vysoké Tatry) Mountains is such a place. 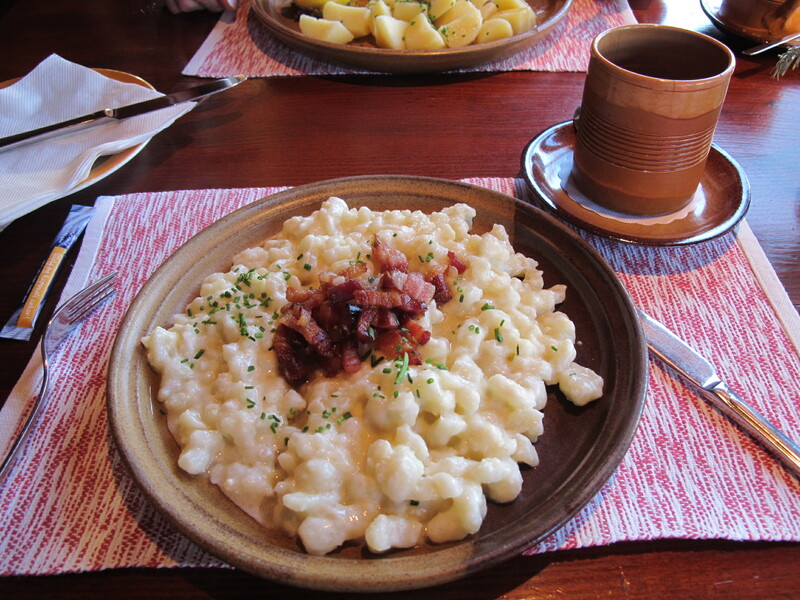 We visited last winter and stayed in cozy and hospitable Pension Tatrasport Zampa. Starý Smokovec was founded in 1793 and the early settlement grew around the local mineral water springs. 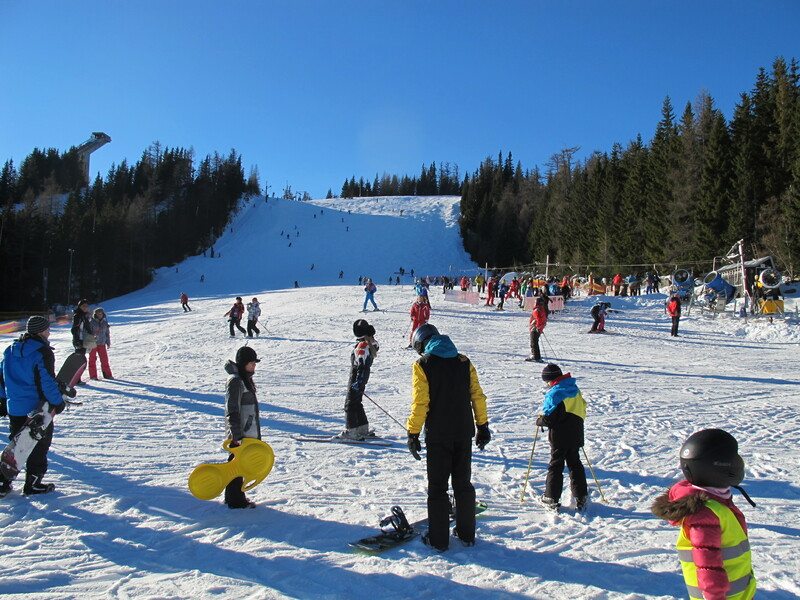 Now it is a popular tourist destination adored by skiers and hikers alike, conveniently located on the Tatra Electric Railway line that connects it to the city of Poprad and fellow resort towns Tatranská Lomnica and Štrbské Pleso. 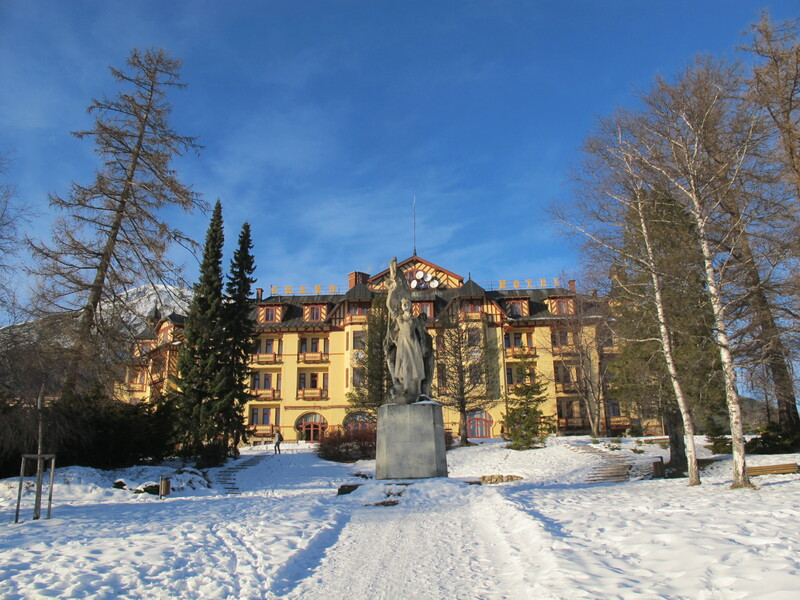 The town is anchored by the majestic Grand Hotel built in 1904. 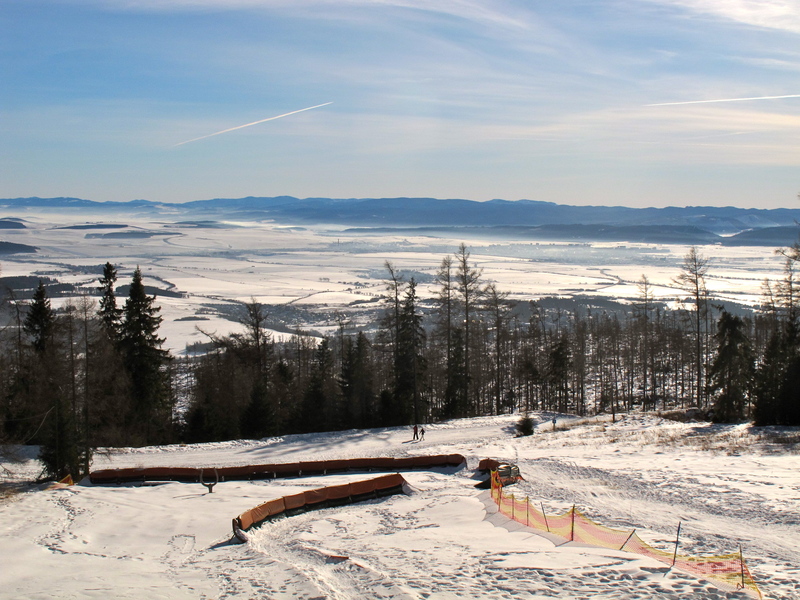 It is a quiet place otherwise but then again most visitors don’t spend much time in Smokovec itself but rather hit the slopes. 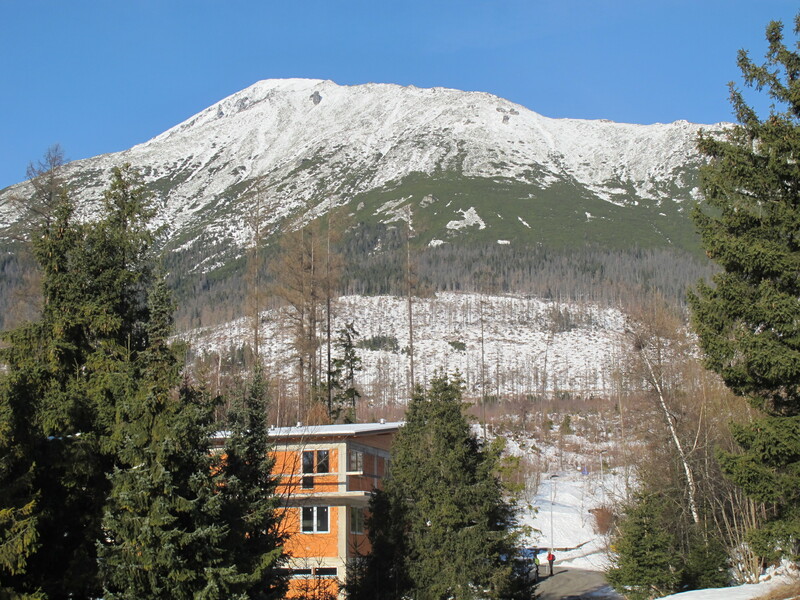 Just behind the hotel there is a funicular that goes up to the Hrebienok ski center perched on the southern slope of the Slavkovsky peak at 1,285 meters above sea level. 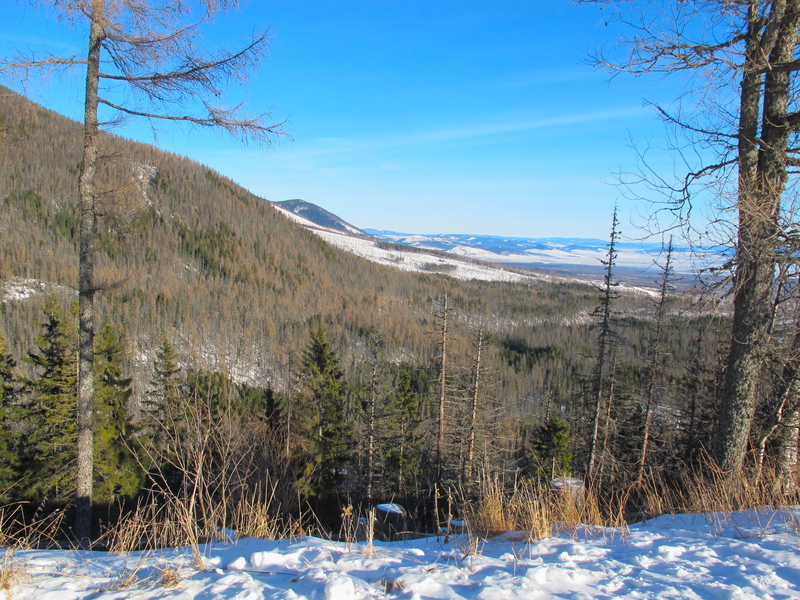 Hrebienok’s ski slopes and hiking trails invite to explore – and you already know my choice. 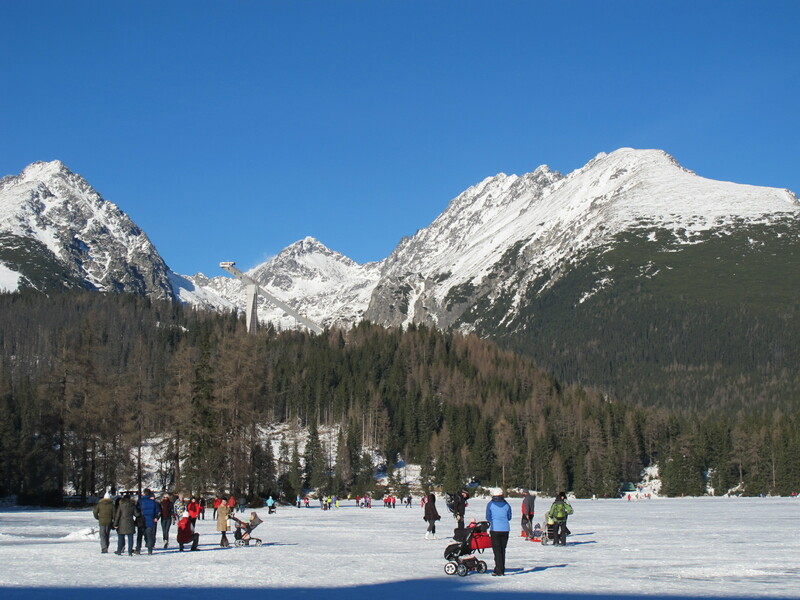 A marked “green” trail leads from the upper station of the funicular to a series of beautiful waterfalls (Studenovodské vodopády), one of the oldest tourist destinations in the Tatras made popular by spa visitors from Starý Smokovec. 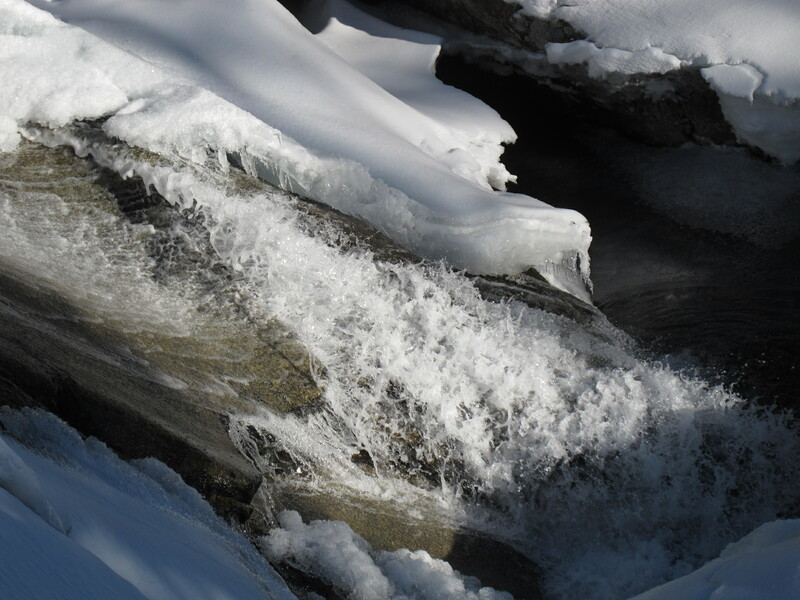 A relatively easy path may be a bit treacherously slippery in winter, but it’s worth it! 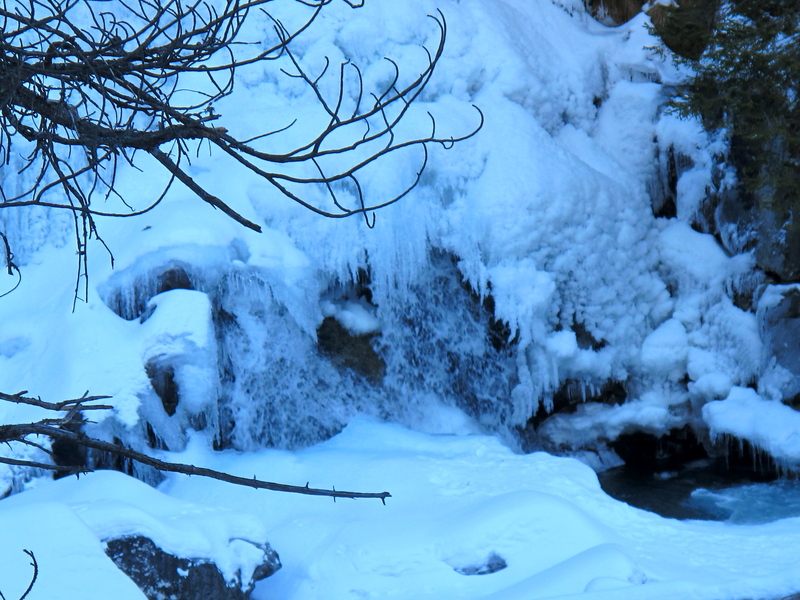 The waterfalls look spectacular, half-frozen and buried underneath the snow. 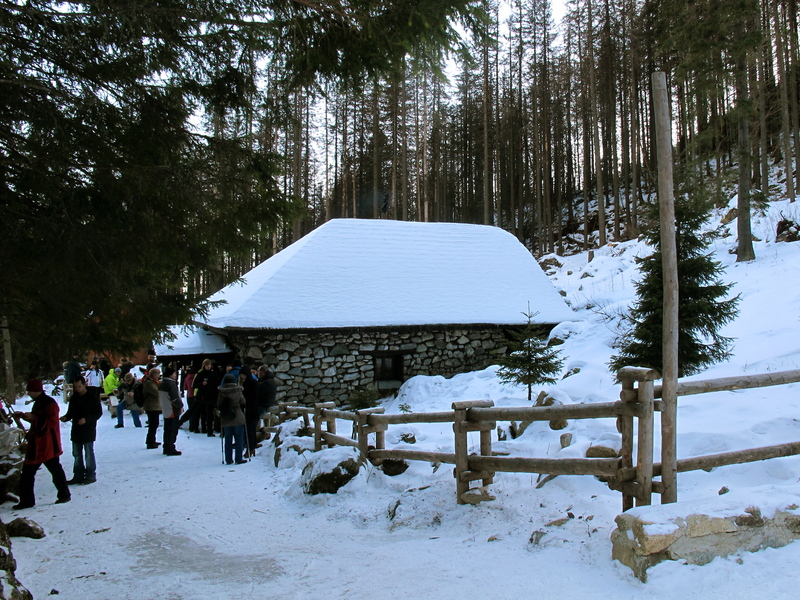 And there is nothing better to reward a weary hiker than a cup of delicious varene vino, or spiced hot wine, in a tiny refuge of Rainerova Chata – historic Rainer’s Hut first built by Ján Juraj Rainer in 1863. Renovated in 1998, it’s been serving mountain adventure seekers since. 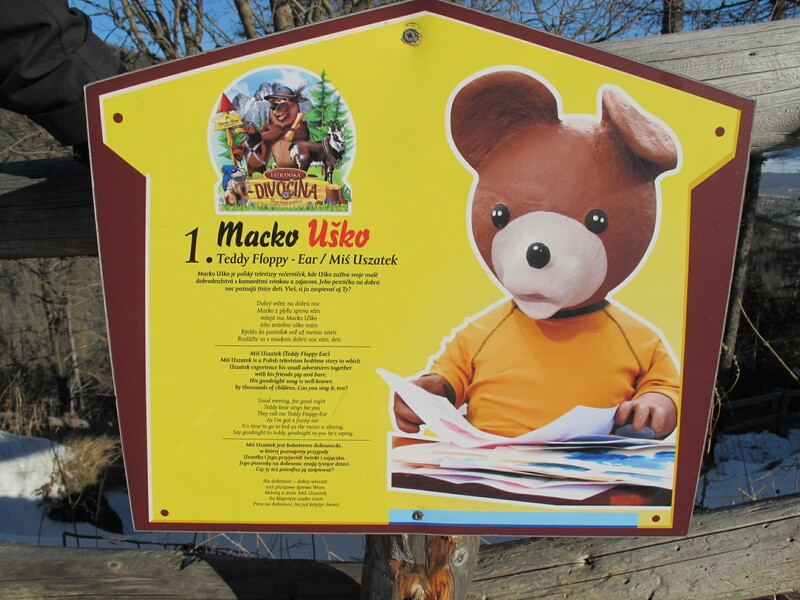 …and an unexpected blast from the past – Miś Uszatek – beloved character from a Polish cartoon I used to watch as a kid, listed along the trail with other famous fairy tale bears!